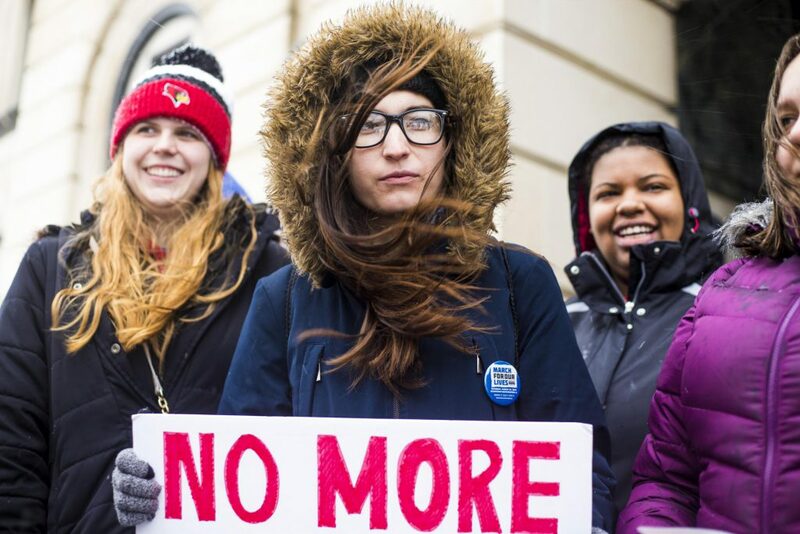 Thousands of students, teachers, parents and victims carried signs and marched across Illinois in the cold, snow and sleet on Saturday as part of the nationwide March for Our Lives against gun violence. The marches were largely led by students, many of them moved to action after last month’s high school shooting in Parkland, Florida. 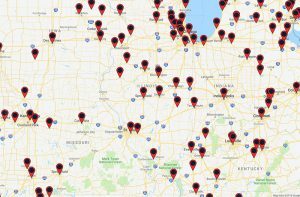 A map of planned marches from the March for Our Lives website. 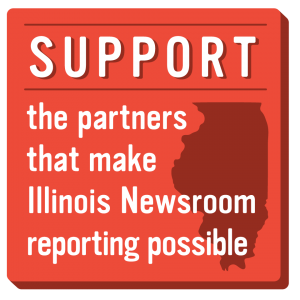 At least 23 marches were scheduled across the state, from Woodstock to Carbondale. 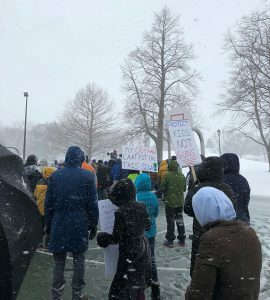 Organizers say more than 700 people came to Douglass Park in Champaign to push for stronger gun control laws, despite winter weather warnings. The largest crowds gathered in Union Park on Chicago’s near west side. Groups that appeared to be in the hundreds also marched in Springfield, Macomb, Bloomington-Normal and other communities. Students across the country say they’re fed up with a lack of action from adults and politicians after decades of shootings in schools. Chelsie Nunez joined marchers from Champaign’s Central High School. “We have the right to stand up for what happened and make sure things change so students in the future don’t have to go through the same thing,” she said. Marchers rally and carry signs in Douglass Park in Champaign. Charles Osley’s brother was just feet away from a student gunman last fall at Mattoon High School, he said. One student was injured by gunfire. Mattoon is about an hour south of Champaign. Osley serves as an organizer with Students Against Gun Violence at the University of Illinois’ Urbana campus. “I don’t think people know how bad gun violence is,” he said. Osley’s group is also organizing events for April 20 in support of tougher laws. In the U.S. capital, chants of “vote them out” rang out in between dozens of student speakers from elementary to high school age, including several survivors of the Parkland shooting as well as Martin Luther King Jr.’s granddaughter. There were also performances by Jennifer Hudson, Miley Cyrus and Ariana Grande. The march also drew in about a dozen counter-protestors, including Shane Bragonier, who said he was marching for his Second Amendment rights. “That’s what it’s all about. We have the right to have guns. We’re legal, law-abiding citizens and we’re not going to stand idle and let people take our guns from us,” Bragonier said. Bragonier said those advocating for gun reform were focusing on the wrong group of people. Bragonier is a member of the National Rifle Association and said protestors criticizing the group aren’t educated on its programs. Student groups say they’re building momentum ahead of November’s mid-term elections. 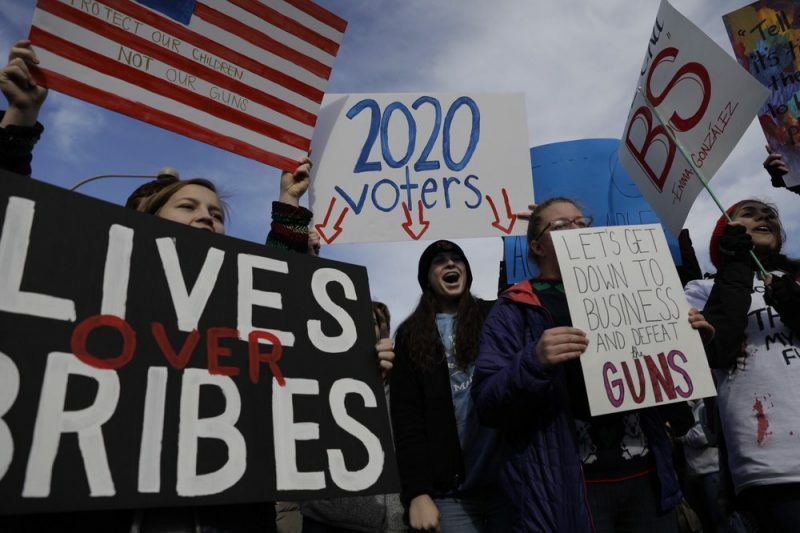 Hundreds of student walkouts are planned for April 20, which marks 19 years since the mass shooting in Columbine High School. Fifteen people died in Columbine, including the student gunmen, and two dozen others were injured. Organizers of April 20 walkouts planned in Champaign-Urbana say they’ll hold events in the days surrounding the protest to educate students and other voters on the issues of gun violence and gun control and provide them with resources and tips to get more involved.